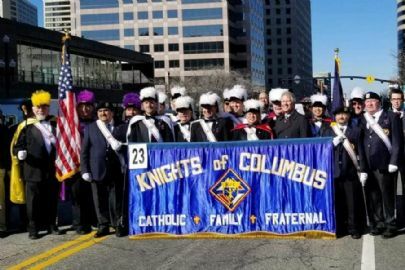 Utah State Knights of Columbus at Saint Patrick's Day Parade, Salt Lake City on March 16, 2019. 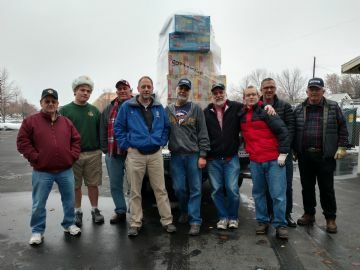 Council 6010 transport 5 pallets of donated goods from Kimberly Clark, Ogden to Fish'n Loaves Food Bank, Hillfield Baptist Church, Layton. 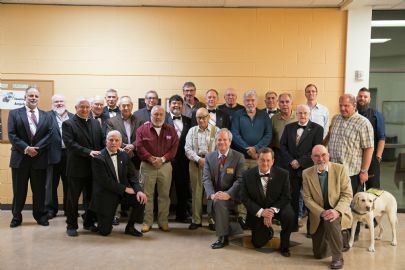 Helpers are John Biotti, Thomas & Jim Sorley, Joe Neid, Dennis Martinez, Pat Gotti, Rev Steve Eggett, & Bob Burch. 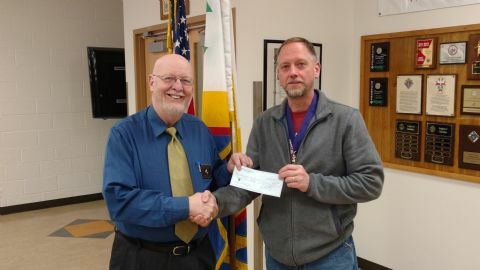 On February 6 2018 Grand Knight Joe Neid presents David Matajasik, Knights State Special Olympics Chairman with a $200 check from Council 6010. LeRoy Onstott preparing lunches. 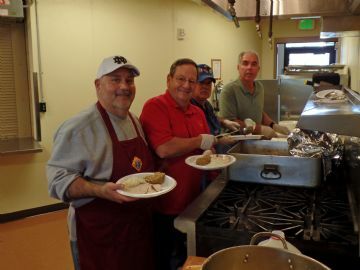 With assistance from Council 6010 St. Vincent de Paul Dining Hall served a nice meal for 373 homeless people in Salt Lake on April 2, 2018. 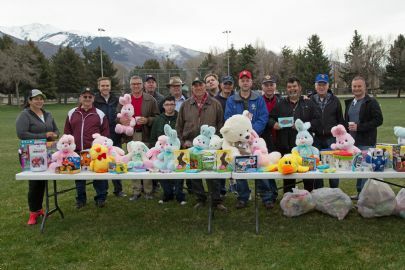 Volunteers for the 2018 Easter Egg Hunt. 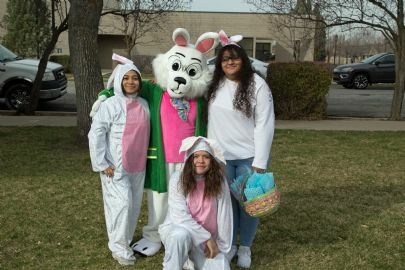 Easter Bunny with her helpers for the 2018 Knights of Columbus St. Rose of Lima Council 6010 Easter Egg Hunt. 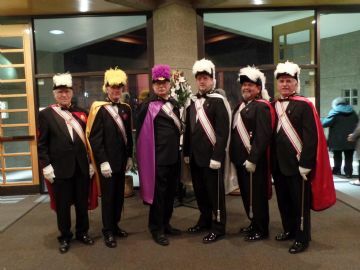 Color Corp after 50th Anniversary Mass on November 11, 2017 at St. Rose of Lima Catholic Church, Layton UT. 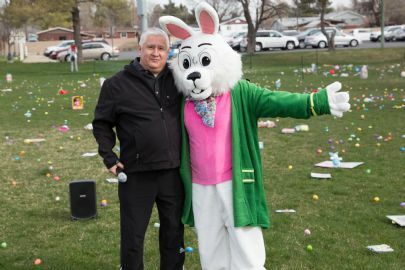 Council 6010 is hosting our Annual Easter Egg Scramble on Saturday, April 20th at 10 AM at Chapel Street Park (just east of St. Rose of Lima Catholic Church). Please be early to visit with the Easter Bunny and her friends. Fr. Clarence will bless the field and start the Egg Scramble. The Council will be hosting BINGO in the Social Center on Friday, April 26th at 7 PM. Doors open at 6 PM. Hot dogs, hamburgers, chili dogs, pretzels are available. 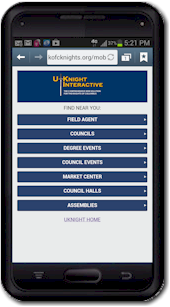 Please come and enjoy the fun. Suggested donation of $12. Richard Garcia & Roger Sanchez have been appointed as co-chairs for the nomination committee for 2019-20 officers. If you are interested please contact either of these brothers. 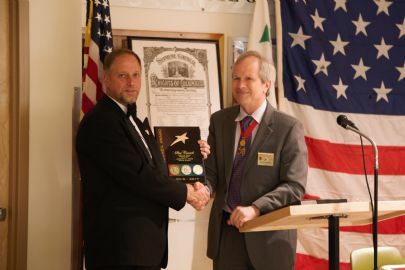 The initial slate of nominations will be revealed at our May meeting.